MTS Repo saw a record day of activity on 21 January with almost three quarters of a trillion euros traded. 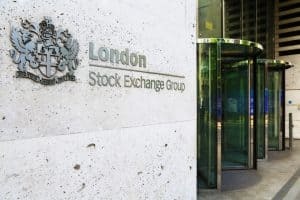 The London Stock Exchange Group’s (LSEG) fixed income trading business MTS Repo saw its highest ever trading day in January, leading to a new record monthly record. MTS Repo saw term adjusted volumes on 21 January reach almost three quarters of a trillion euros, with the new average record daily term adjusted volume on MTS Repo markets increasing to €220 billion for the month. “Strong underlying volumes in our day to day funding business were complemented by an increase in longer term General Collateral trading, reflecting a return to risk positioning via repo from some banks,” Tim Martins, head of money market product management at MTS, commented. MTS provides liquidity in European repo through its interdealer central limit order book, and the dealer to client request for quote (RFQ) segment of BondVision, known as GCM. The MTS Repo interdealer market currently has 150 sell-side counterparties across Europe. In October, MTS added auto-execution RFQ functionality to BondVision after the platform was upgraded and redesigned to bring more efficiency to low touch trades. The move means that traders are able to upload trades directly from their order management system where BondVision handles the RFQ and execution. More recently, MTS teamed up with market data provider BondCliQ to develop a mapping tool for US corporate bond liquidity. The move saw MTS’s corporate bond trading platform, MTS BondsPro, combine its real-time pricing information with BondCliQ’s data visualisation technology to provide clients with a holistic view of pre- and post-trade liquidity.